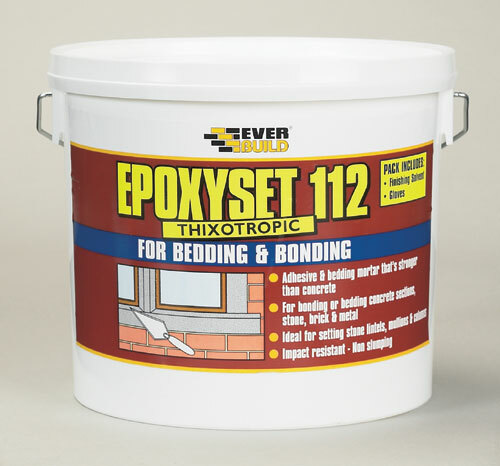 Everbuild - Two-part epoxy resin mortar for use as an adhesive in industrial and domestic bonding and bedding applications. 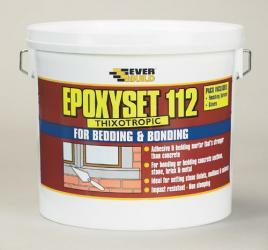 Ideal for bedding stone and concrete lintels, stone mullions, ceramic and stone tiles. Pack includes finishing solvent and gloves. Can be coloured with powdered pigments and dyes.